Meet at NW corner of West Grand. Blvd and Woodward, Detroit. Peter Barclae, the man who owns the parking lot near the St. Regis Hotel, is the developer who deceived the families in the Gratiot McDougall development. He’s now trying to evict them. See story to the right. 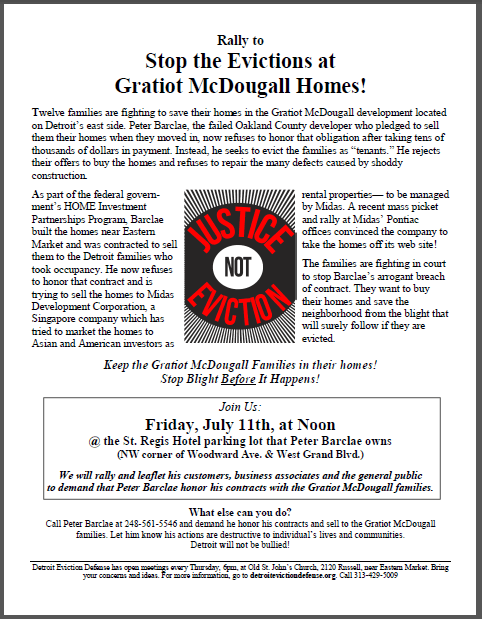 We’re coming to his business to demand he honor the contracts of Gratiot McDougall families.